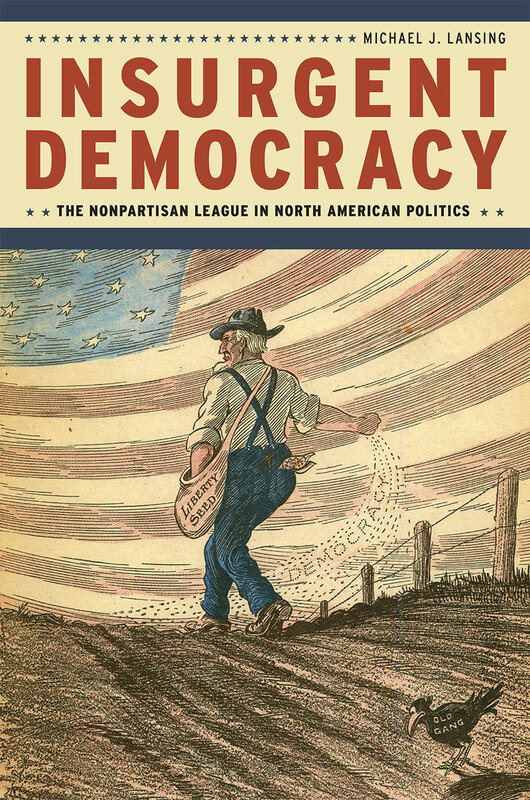 In 1915, western farmers mounted one of the most significant challenges to party politics America has seen: the Nonpartisan League, which sought to empower citizens and restrain corporate influence. Before its collapse in the 1920s, the League counted over 250,000 paying members, spread to thirteen states and two Canadian provinces, controlled North Dakota’s state government, and birthed new farmer-labor alliances. Yet today it is all but forgotten, neglected even by scholars. Michael J. Lansing aims to change that. Insurgent Democracy offers a new look at the Nonpartisan League and a new way to understand its rise and fall in the United States and Canada. Lansing argues that, rather than a spasm of populist rage that inevitably burned itself out, the story of the League is in fact an instructive example of how popular movements can create lasting change. Depicting the League as a transnational response to economic inequity, Lansing not only resurrects its story of citizen activism, but also allows us to see its potential to inform contemporary movements.